Some of our guests reserve sites a year in advance. To get a good location, we recommend you reserve a site as early as possible. Rates subject to change without notice. *If you are making a reservation for a date less than two days (48 Hours) in advance please do so by phone. 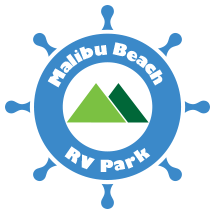 Rates listed are before a 12% Malibu Occupancy Tax and are for 1 or 2 persons, 1 RV and 1 vehicle. Additional people (over age 5) carry a nightly fee of $5 per person. Additional vehicles (cars, boats, trailers, etc..) carry a daily/nightly fee of $10 per vehicle. Motorcycles carry a daily/nightly fee of $5. See “pet policy” for charges and pet rules. See “Rules and Regulations” for additional Holiday charges. *If you are making a reservation for a date less than two days in advance please do so by phone.